In earlier posts, we looked at the Quaker theme: Lucretia (Coffin) Mott, Thomas and the Quakers, John Goff's article, and more. The recent Beacon issue has this same theme. fiction (she has proposed a project - more information later). The Facebook page for anceSTORY is publicly readable and frequently updated. One theme has been the Puritans' propensity for punishment (example). One wonders how it might have been if the Puritans would have inflicted punishment upon themselves rather than others. 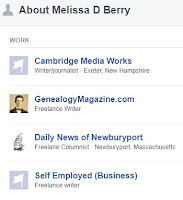 There are many Gardner connections to pursue as the theme is New England (for example, see this search result). Also, we do need to know the times and travails if we are to understand the ancestors' lot. 02/12/2014 -- Motivations will be a focus. 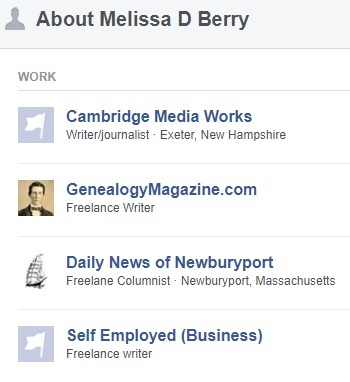 03/02/2019 -- Added image that list Melissa's great work. We're building an index via images at our portal to truth.